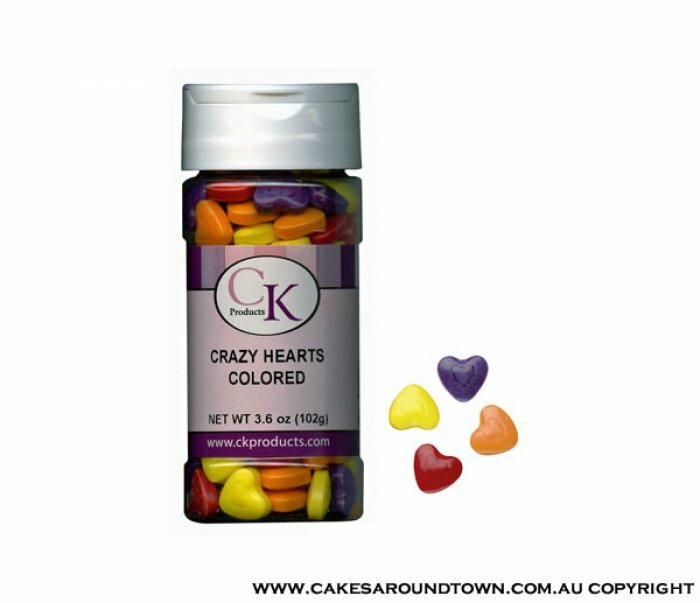 Crazy hearts cand is great for your cupcakes, cakes and cookies. In purple, red, orange and yellow they will certainly brighten things up. There are approximately 150 hearts in this bottle each measuring 1.2cm at longest points. In bright crazy colours as shown.